Welcome to H & V Equipment Services, Inc.
Our mission is to develop, sustain and promote strong and lasting relationships with our customers by exceeding their expectations and gaining their trust. We strive to provide quality heavy equipment products, positive attitudes and outstanding service while being genuinely concerned about our customers’ needs. We are committed to providing a safe and drug-free workplace for our employees, challenging them to perform at their highest level and encouraging them to contribute to their community. Your Dealer For Construction Equipment Sales and Service in Central Texas! 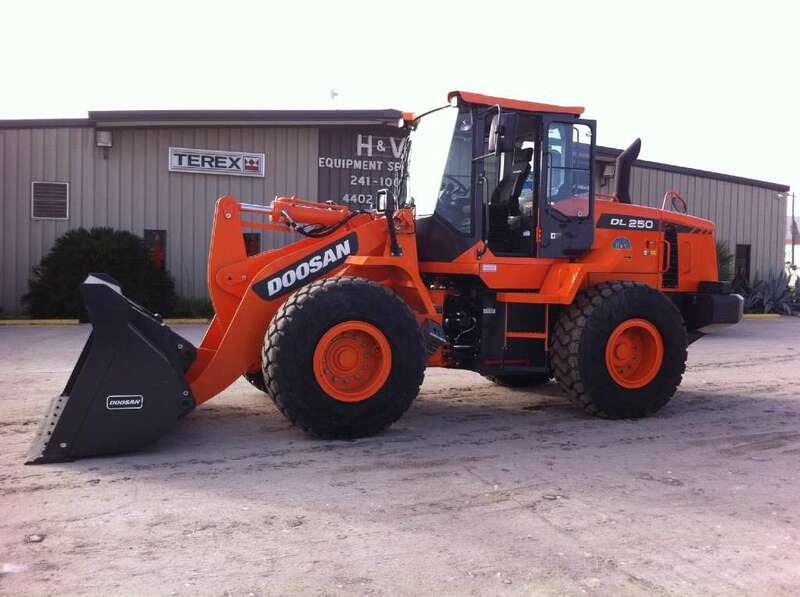 We are the authorized Doosan Dealer for South / Central Texas. Established in April of 1991, we have expanded to three locations in Texas: Corpus Christi, Progreso, and San Antonio. H&V Equipment Services offers full service heavy equipment shops at all (3) locations. We can handle your heavy construction equipment repair and maintenance needs on all makes and models. We service all make and models of hydraulic hammers in our San Antonio branch.